Dragon 620 – The other day I got a commission for a Chinese dragon, coincidentally I had planned on drawing one, which of course resulted in me drawing a whole series. This was the first dragon. Yellow Gold symbolizes neutrality and good luck. 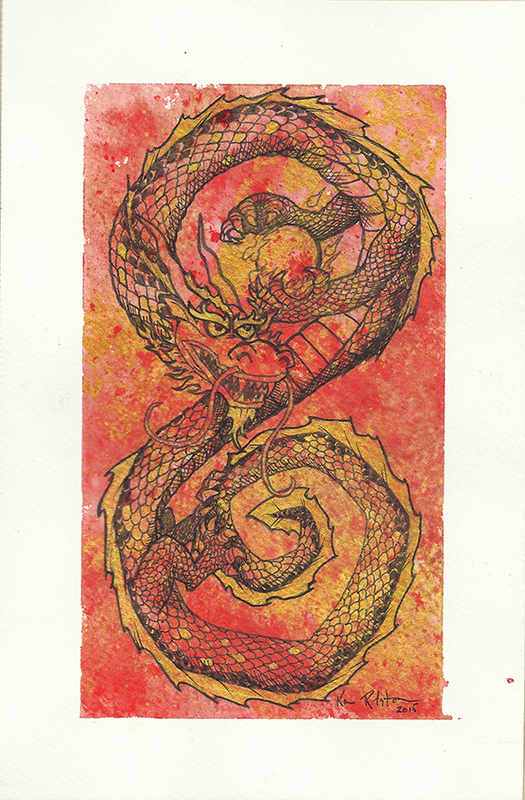 For this image I used a metallic yellow gold ink. The flaming pearl carried by a dragon also symbolizes wealth, good luck, and prosperity. The five clawed dragons are known as imperial dragons associated only with royalty. But if I was going to be really precise, Chinese dragons are only supposed to have 117 scales, so this guy has a few too many!